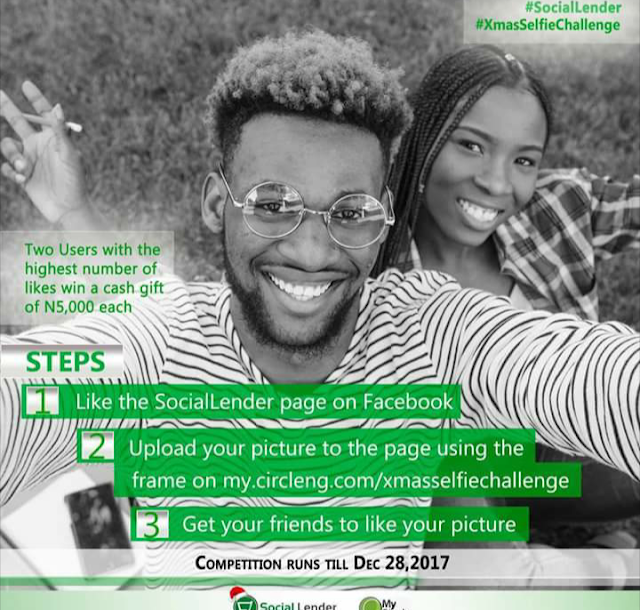 Mycircle Sociallender Xmas Selfie Challenge. One amazing thing about Happiness is that it is free, times like this are when it should be mostly sprinkled everywhere. And as we know the greatest gift of life is friendship, we have received it with you and that's why we are sharing the kindness and joy of this beautiful season with you. Competition Runs Till 28th December, 2017.